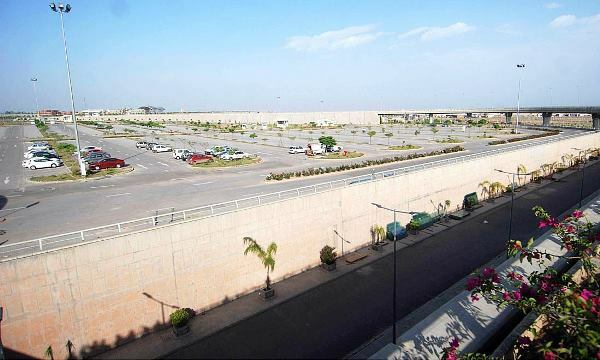 The newly built Islamabad International Airport is yet another example of how poor planning continues to add rust to the public exchequer. Despite the nation’s capital being in dire need of a better airport, the new building has failed to deliver in every aspect. Since its inauguration in May this year, it has seen a plethora of structural flaws that have revealed it to be less of an airport and more of a health hazard. To start with, years before its inauguration, the Civil Aviation Authority (CAA) accepted flaws in the design of the runways due to which multiple aircraft could not take off or land at the same time. 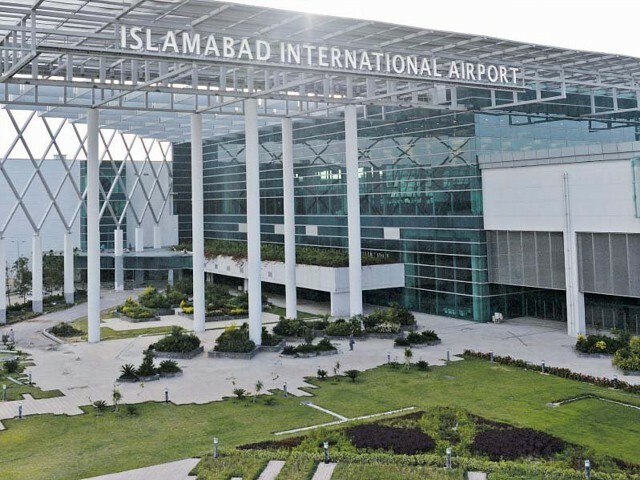 Then less than a month after its opening, the airport was reportedly flooded with the showers of Islamabad’s maiden rainfall. Moreover, sewage water also reportedly began leaking into offices as early as June. New Islamabad International Airport after rain. In yet another development, a portion of a recently constructed building that caters to airfreight has started caving in. 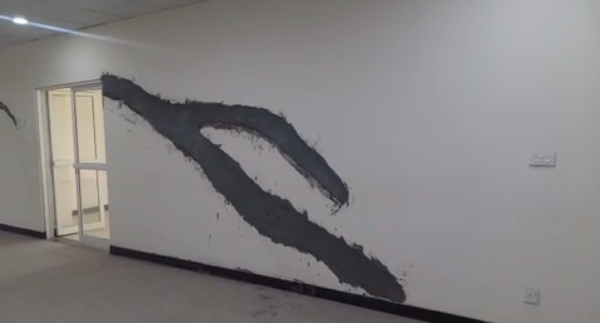 It all started with initial cracks in the wall, until slowly it started defacing itself. 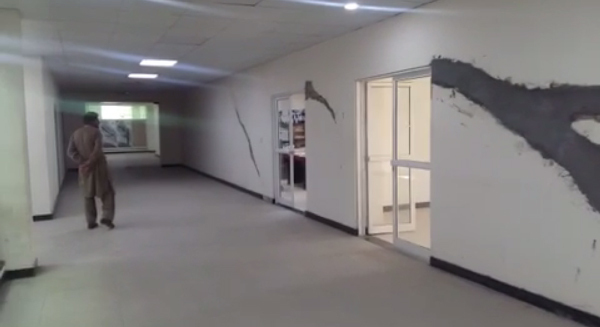 The CAA initially fixed the cracks, but could not stop the walls from caving in. Unsurprisingly, its workers are now concerned regarding their safety as they continue to work in a building that looks ready to fall at any given moment. Having been to the new airport several times, it would be accurate to say that as soon as one enters the parking area, it feels like entering a wasteland. Rather than one gigantic parking plaza, there is simply one large ground to cater to hundreds of vehicles. This is an international airport, and the international standard is to design a parking plaza that not only uses the land wisely, but also aids travellers in saving time and is convenient rather than a hassle. Instead, this airport seemingly lacks the basic facilities to cater to the thousands of passengers who come here every day alongside their families. Even finding a toilet here is a tough task, while the number of restrooms is not adequate enough in light of demand. I would also recommend people bring their own drinking water or snacks in accordance with their need, as this mighty airport will sorely disappoint on that front as well. The only tuck shop is on the other edge of the car park, and that too in a temporary container. Beware! The shop owners are busy challenging the writ of the government by charging their own rates. I walked for nearly 10 minutes to get there, only to be charged Rs50 for a juice priced at Rs30. When I demanded the authentic rate list signed by a qualified authority, I was told that the list is with “the CIA”. I can only presume they meant the CAA. Once you have had something to eat or drink and want to dispose of the trash, you will find yourself in another conundrum. Bringing your own litter bag is an option, as you will not be able to find trash cans. And this is the nightmare outside the airport. Once inside, if you have to go to international departures, be prepared to remain in a never-ending queue. The queue begins from the lifts going towards departures (on the third floor). One cannot of course drag luggage trolleys on the stairs to go upstairs, but ironically, there are only two lifts that can be used and they only cater to eight people at one time. After you are lucky enough to get through this, a new queue will await you at the entrance doors. Although the entrance has four doors, only one is kept open usually, creating havoc as travellers begin to argue and kids begin to cry. Interestingly, the problem can easily be solved by opening the remaining doors. 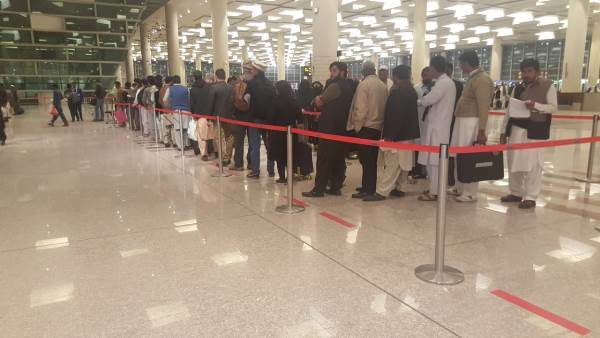 Once inside departures, exhausted travellers are greeted by another queue orchestrated by Federal Investigation Agency’s (FIA) Additional Director Asmatullah Junejo. There are more than 15 counters and there used to be no long lines previously as each counter had its own queue. Now, the newly appointed AD has made staff as well as travellers feel his worthy presence by introducing one long zigzag queue with a bottleneck at the end, perhaps to prevent us from going to our desired officer for the boarding pass process. Surely the AD needs to trust his team rather than creating hurdles for us; after all, this is an international airport being run here, not a jalsa he has been tasked to organise. The ultimate question arises after noting over Rs105 billion were spent on this mega structure; an enormous cost to the public exchequer, especially when the country’s economy is already shattered. After viewing where all that money went and experiencing the unpleasant display at this mighty structure, one ponders where the accountability watchdog is? Should the contractors not be probed for this mess? The planners of this structure should have followed precedents set by the developed world. For instance, investing in a multi-storey parking plaza would have consumed less land and allowed the remainder to be utilised by other much needed facilities. The airport definitely needs more lifts with enhanced capacity, as passengers in international departures also travel with more luggage and are not facilitated enough here. Moreover, the queues will also have to be sorted, for if the lines are never-ending when the airport is not even at maximum capacity, how will we fare if international traffic rises in the future? For any country, the capital is considered the doorway through which the world gets its first impression, and in the modern world, that impression is inevitably offered by the country’s airport. 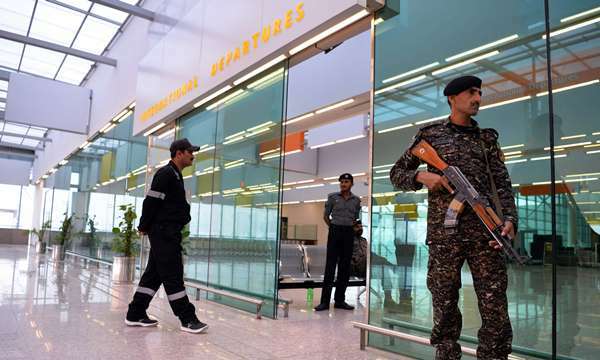 In the case of the new Islamabad International Airport, however, it indeed is a bitter experience and a horrible first impression. Now that British Airways have announced the resumption of its flights to Islamabad, and international traffic will ultimately increase, this is a good opportunity to turn the airport around and bring it at par with those in the developed world. If we expect other European jetliners to land at Islamabad one day, this would only be possible through providing the best at our doors. Is a building that has emerged a security hazard for its employees in less than six months after its opening the best we can offer? What are authorities waiting for? Will it take an embarrassing incident in front of the British Airways for us to take this incompetence seriously? 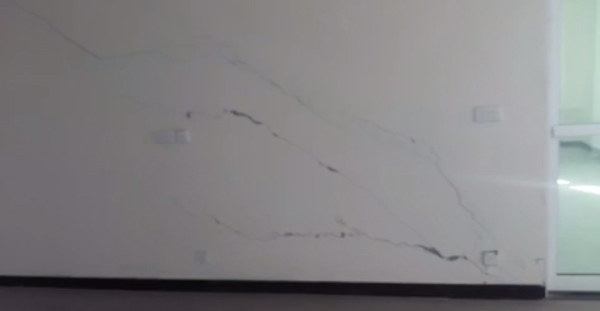 Does the building need to fall down for us to take action? The need of the hour is that relevant authorities probe into the mala fide performance by the contracting companies of this mega project. The culprits must be brought to justice and steps should be taken to revamp the airport to meet international standards and practices. Ultimately, we must mend our attitude towards taking health and safety issues seriously, instead of waiting for the worst to happen before we take action and look at where we went wrong. the security checkpoints and in the boarding gates area.] That’s nothing new. $20 dollars at ‘Shake Shack’!! That is pure and simple gauging the customer! You get the quality you pay for, however after all the skimming, bribes and kickbacks are figured in by all “the usual suspects”, we see the results!